All of our training courses are conducted one on one. Progress is at your pace. 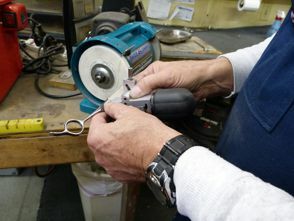 Sharpening seminars are valuable and have a definite purpose, however there is no substitute for hands on, one on one training in a working, sharpening environment. 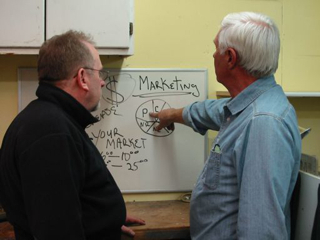 Programs can be tailored to individual requests, such as Beauty Industry only, Grooming Industry only, Clipper Blade Sharpening only, Repair only or just the Marketing Strategies program only. As with any training program, it is important to remember that you will only develop your technique through continued practice and experience. However should you find that you have questions about procedures or equipment after completion of training, we are available with a dedicated support line and help web site for graduates only.